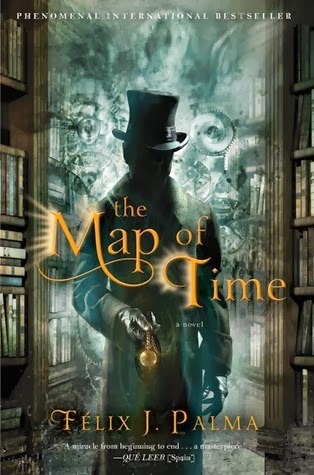 My first pick is THE MAP OF TIME by Felix J. Palma (it appears that this cover version is only available on the physical book versions, not the e-book). They shades, translucent background image and the shadowed man in the top hat all caught my attention in a good way. I believe that all the elements including the title and author (as well as font) all made for a great presentation. I don't know anything about the book, but the cover interests me greatly. 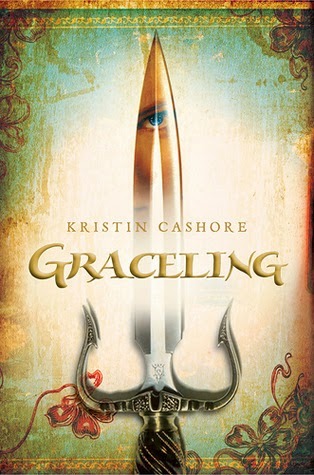 Pick #2 goes to GRACELING by Kristin Cashore. Though there doesn't appear to be a lot going on here, that doesn't make this a bad pick. The lighting along with the border details and the reflection in the knife blade are artfully done and peaks my interest. Well done cover! 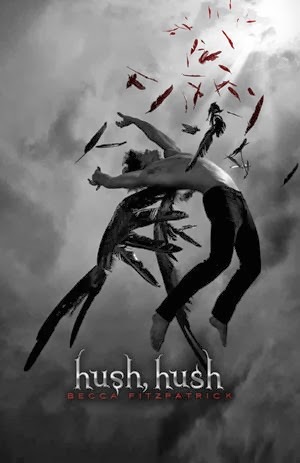 My third pick goes to HUSH, HUSH by Becca Fitzpatrick. The context between black and white and the red really draws the eye. Also, with positioning of the character and the scattering of feathers, the viewer is given an immediate sensation of falling and the artist uses spacing on the page very well. 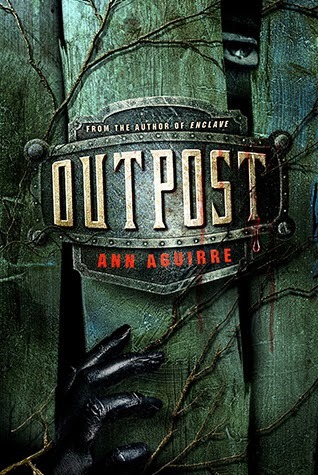 And ... the #4 spot goes to OUTPOST by Ann Aguirre. The high amount of detail and the almost 3D feel of this cover gives an immediate rise to pleasurable art factor. There is a lot of detail and pieces here with the old rickety fence with a bold new plate connected to it. We get a sense of something happening with the hand present and a sense of doom with the blood. Great job! 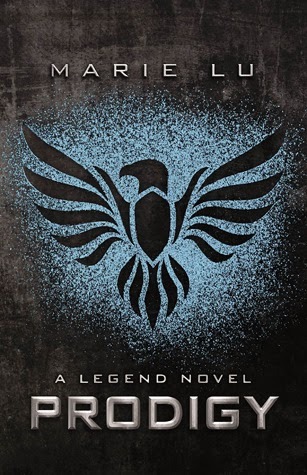 #5, today, goes to PRODIGY by Marie Lu. At first glance, there doesn't appear to be much going on here, but in reality, I picked this one because of it's elegant simplicity. The splash of color on grays and blacks really pops, and I'm a sucker for militaristic bird emblems!